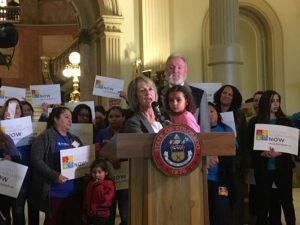 Large Colorado school districts that collectively serve thousands of children in half-day kindergarten programs are preparing to switch to full-day …Large Colorado school districts that collectively serve thousands of children in half-day kindergarten. 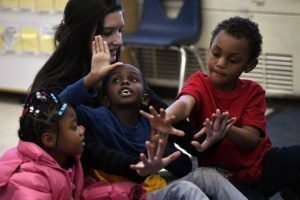 Colorado currently funds kindergarten students at a little more than half the rate of older students. Statewide, nearly 50,000 students attend full-day programs, while another 13,300 are in half-day. Some districts pay for kindergarten out of their own funds, and many families pay tuition for full-day programs. Bipartisan legislationwould fund kindergarten students at the same rate and ban districts from charging tuition. The first hearing takes place this week in the House Education Committee, and there is significant political momentum behind it.